Over the course of my life I have continually asked myself, "What's the point?" Just this past weekend I was at a friend's bridal shower and the topic of religion was brought up. The women that were in the room found themselves bemoaning a certain church, the hardship of church relationships and family, rules and doctrines. To me, the problem seemed to stem from church politics and hierarchy, rules and years steeped in religious doctrine than the actual act of having a relationship with God. And so I asked these ladies, "What is the point?". And as always, that question is incredibly difficult to answer. But isn't this the question that plagues us all? So much of our lives are spent looking for "the point of it all" and maybe the point of life isn't really all that relevant? Possibly the point of life, religion, and the myriad of things that happen throughout the our lives aren't what really matter. And when confronted a life that will be constricted by the confines of limited time - what would you ask instead? 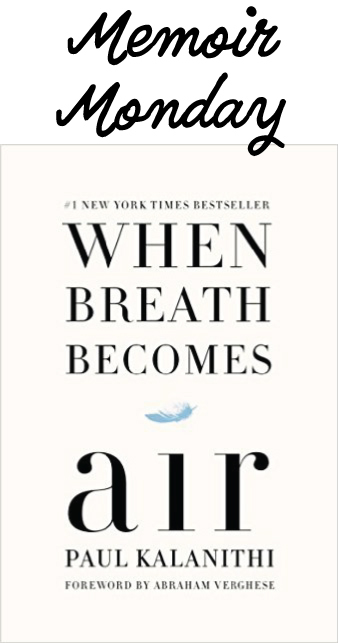 Paul Kalanithi was a brilliant scholar on track to finishing his training as a neurosurgeon when suddenly he was diagnosed with stage IV lung cancer. And within a matter of days his focus was shifted from saving lives to saving his own life, preparing his family for his very probable and imminent death and the future that they would have after he was gone. Because as a student of medicine - Paul knew that his demise was inevitable and rather than focusing on the "why" of his prognosis, he decided to ask the more philosophical question, "What makes a life worth living?" 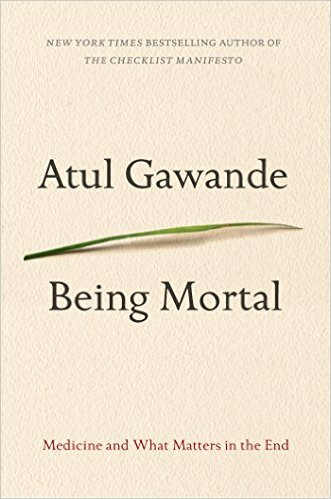 In his posthumous memoir, Paul Kalanithi, explores medicine, literature, family and death which gives the reader a very intimate look into the life, memories and thoughts of a brilliant man whose time left with his loved ones is limited. Kalanithi is a magician with words. His memoir is poetic, sweet, enlightening and melancholy. While I am disappointed that the world did not benefit from his skills in an O.R. I am thankful that he was able to leave behind this book. And though the last chapters are written by his wife, Lucy, it's evident that she was the perfect (and probably the only) person who could pick up where he left off. I would recommend this memoir to anyone - it's insightful, real and relevant. 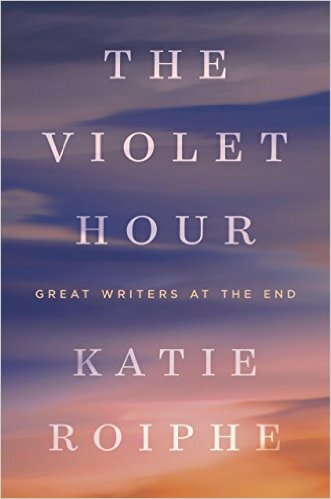 The writing is superb and the subject matter engrossing and enriching.